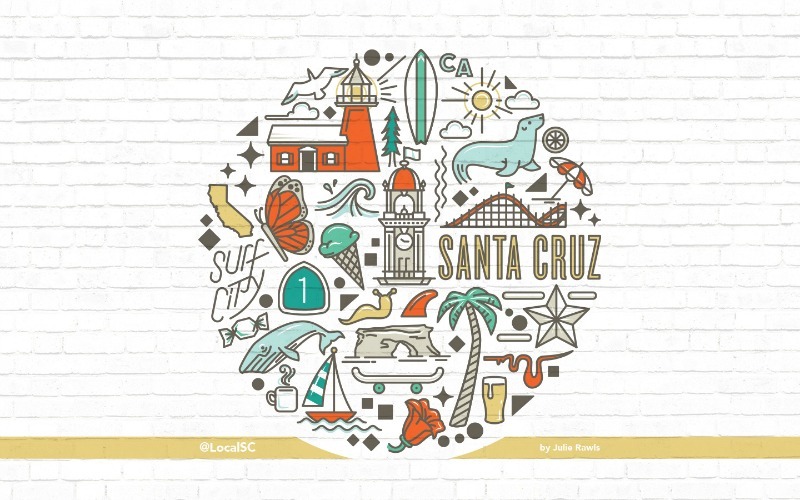 Last week, fans and followers of LocalSantaCruz.com got a great little treat when Jules designed and released a free beach wallpaper, full of illustrated Santa Cruz Icons. From the Giant Dipper, to Natural Bridges, the Clock Tower, Monarch Butterflies, Sea Lions, Wine Glasses and Palm Trees, Jules has captured the iconic essence of this beach town! You can head over to Local Santa Cruz and download the wallpaper for free to use on your computer and phone. I also recommend following LocalSC on Instagram and Facebook, as we are going to be doing some cool things with the individual icons there too!